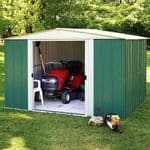 This is a wonderfully versatile 6 x 6 metal shed. 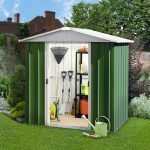 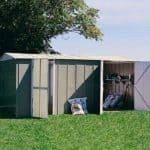 The size of the shed makes it a perfect candidate for storing its usual garden items that everyone has that has to manage. 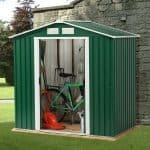 This means that you can install your taller tools due to the shape of the roof, and also some smaller items that you can have inside the building all year round. 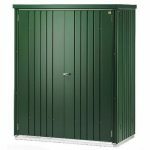 The nature of the metal inside the building means that the manufacturer is able to offer a 25-year guarantee for you. 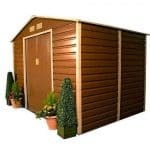 This gives you reassurance, and on top of all of that you also get a product that has free UK delivery.